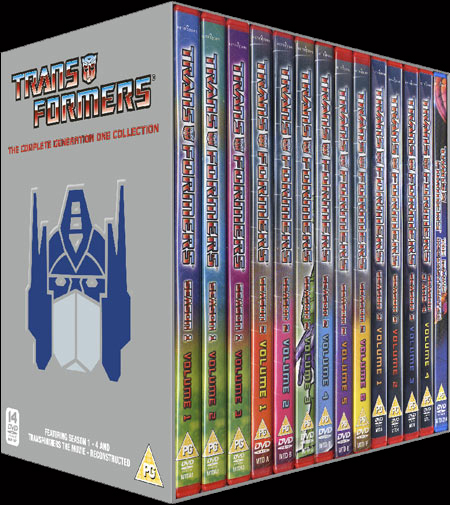 This Genuine 14 DVD box set includes all the episodes of seasons 1 - 4 of the original Transformers cartoon series, plus Transformers The Movie: Reconstructed and comes with a free Transformers The Movie double-sided poster. This release has since sold out in stores worldwide. Extras include episode scripts, interactive quizzes, mistake reels, Easter eggs, featurettes, galleries and DVD Rom content. Sorry, no longer in stock.